Ford Mondeo: 2014 Onwards. Ford Mondeo: 2007 - 2014. WHEEL CAP SIZE 54MM. 54mm front face. Ford Fiesta: 2012 Onwards. Ford Fiesta: 2008 - 2012. Ford Focus: 2014 Onwards. Ford Focus: 2011 - 2014. Excellent tool to keep in your car with the spare wheel. H - Fixing length - 9.0 mm. H1 - Length up to fixing - 4.5 mm. For Aluminium Valves / With Tyre Pressure Monitoring. OEM 3B7601171. Fits Most Models Of VW. C1 - C2 - C3 - C4 - P icasso - DS3 - C5 - C8. BLACK BADGE EMBLEM. If you find any quality problems when you receive your item/s. For quick removal or installation of tyre valve inserts. Small mouth is the tire valve core wrench. Big mouth is Air conditioning valve core wrench. Robust steel shaft with corrosion-resistant plating. Dezent RE Felgensatz in 6x15 ET25 LK 4/108 für Peugeot Modelle gemäß ABE. Suitable with most manufactures who are using 17mm wheel bolts. Inner size: 17mm. 20 pcs wheel nut / bolt covers. They protect and hide your wheel nuts from rust, dirt and water. Simply push on to your existing headed bolts. 24/Set x Tyre Plug Patch. Professional wired 4mm puncture repair plug, can be used on car, motorcycle truck bus and agricultural tyres. High temperature resistance, high hardness and high wear resistance, perfect for tire repair. Only suitable for wheels with plastic faux rivets, not suitable for real split rims. 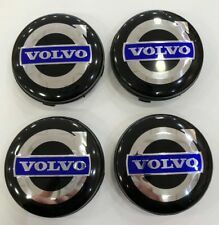 4pcs wheel cap cover. The base is made of ABS. Perfect match for the suitable size wheel. Fit for car wheel with. Color : Black & Silver. The real color of the item may be slightly different from the pictures shown on website caused by many factors such as brightness of your monitor and light brightness. VW Logo Centre Cap Badge Emblem X4. Look great with any colour wheels!